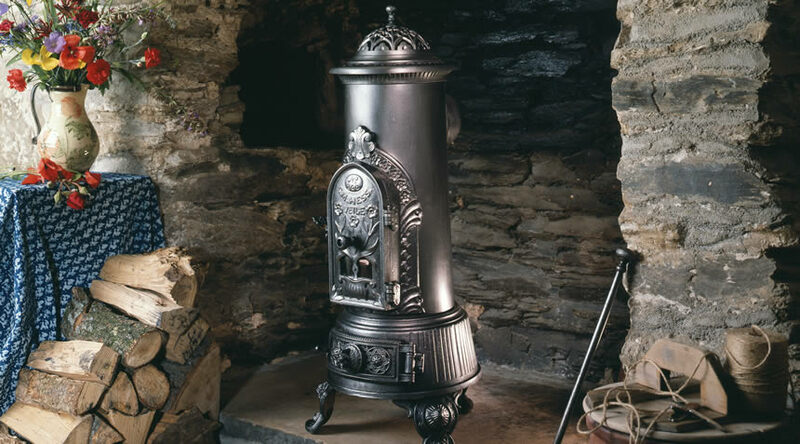 We have a wide selection of elegant and efficient antique wood burning stoves originating from foundries across Europe. Made between 1850 and 1930, every antique stove has been restored to perfect condition. Finely detailed castings and elegance of design were combined with strength and robustness to produce wood burning stoves that are both highly efficient and controllable, capable of heating a single room or a whole house: our antique stoves are not just beautiful. Often featuring very detailed cast iron patterns many of our antique stoves also utilise secondary combustion which makes them efficient stoves, able to burn overnight. Visit our Antique Stove Gallery to view further examples of these antique stoves.